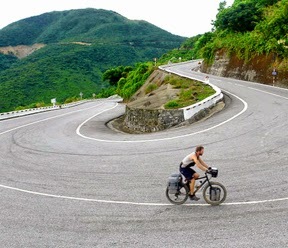 Binh Thuan is a coastal province located east of Ho Chi Minh City which attracts tourists from everywhere for its lovely landscapes, especially four famous tourist sites include Ca Na, Phan Thiet, Mui Ne and La Gi – Ham Tan. With a large plain running along the coast, Binh Thuan has been affectionately awarded the white long beaches and charming sand dunes by nature. Flexibility: This sample itinerary can be amended longer or shorter, more or less activities accordingly to meet your expectation. Breakfast at the hotel. Morning, transfer to Phan Thiet – Mui Ne. Afternoon, free at leisure on the beach or enjoy resort facilities. Overnight in Phan Thiet. Breakfast at the hotel. Morning, free at leisure for relaxing or swimming. Afternoon, transfer back to Ho Chi Minh City. Drop off at the departure point. End of service. This is a sample itinerary, so the cost depends on the number of people in your group, hotel choice and time of travel. ưease send us an inquiry for availability & the most updated price. Sightseeing, admission fees, entrance and boat fees as specified.